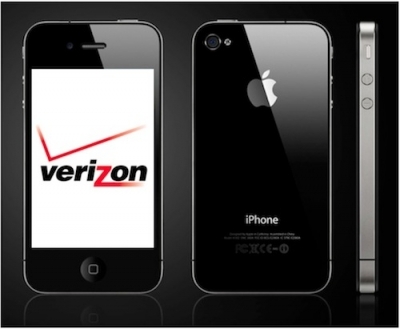 New York Post is reporting that Apple is working on iTunes subscription service. The new service will provide customers unlimited access to complete iTunes catalog for a monthly fee of $10 to $15. Claire Atkinson of NY Post wrote, “Apple iTunes boss Eddy Cue was on the phone with music honchos as recently as a few weeks ago trying to figure out how the partners can move forward. One top music exec said the labels are supportive of the idea and believe it could re-energize digital music sales.” NY post didn’t say when this subscription service is coming. University of Cincinnati has developed a new display technology that combines best of both the worlds, low power requirement of E-ink technology with faster response time and color saturation of LCD screens. 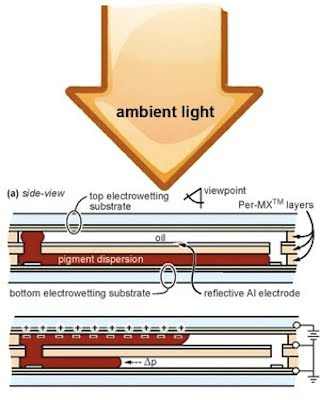 The new display uses eletrofluidic technology and is called “zero-power” e-Display. Apple introduced new redesigned iPod shuffle earlier this month that brought back much requested clickable ring buttons along with VoiceOver technology for easier music and playlist navigation. 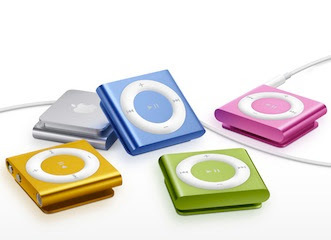 The new iPod shuffle comes in five colors – silver, blue, green, orange, and pink with 50% more battery life rated at 15 hours and priced $49 for 2GB storage. Logitech today unveiled Logitech Revue with Google TV, a plug-and-play companion box with its Logitech Keyboard controller, which together provide seamless control over the Google TV experience and home-entertainment devices. Along with Revue, Logitech also launched Logitech TV Cam, Logitech Mini Controller and Vid HD service for video calling. 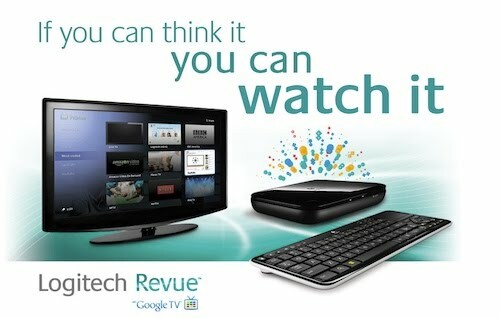 Logitech describes the new Revue as follows. The third Apple related rumor of the day comes courtesy of Ticonderoga Securities analyst Brain White, who is in Asia talking to various component suppliers for Apple products. He is reporting that next iteration of the iPad will debut in first quarter of 2011 and it will have a smaller 7-inch screen compared to 9.7-inch on current iPad model. The 7-inch screen will be high-resolution, Retina display like the iPhone 4. 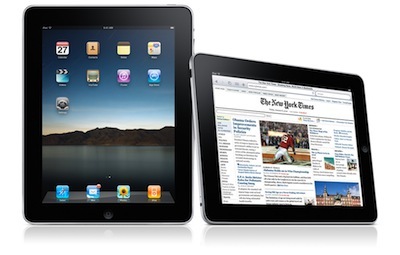 The iPad will also have a micro or mini USB, a camera and up to 128GB storage. After almost two years Apple updated the Apple TV earlier this month with focus on streaming content rather than storing content. 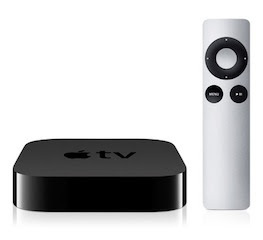 The new Apple TV is a small black box measuring 3.9” x 3.9” x 0.9” and weighing just 0.6 pounds. 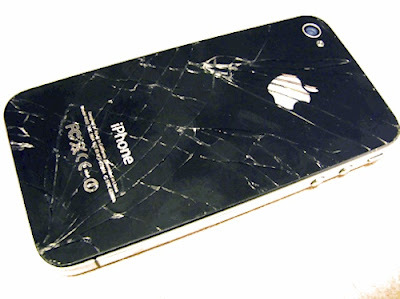 It runs on A4 processor and uses iOS like the iPhone 4. It comes with WiFi a/b/g/n support, HDMI, Optical audio, Ethernet, Micro USB port and Apple remote. And, yes it just $99. 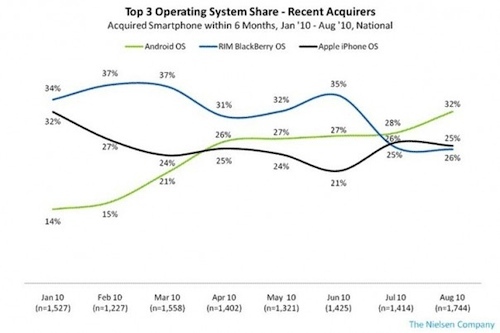 One news that is making rounds around the tech blogosphere today is surge of Android to No. 1 in US smartphone sales. According to the data released by Nielsen, Android has continued its rise in past six months and is now top smartphone platform for new device purchases with 32% market share. RIM and Apple are tied at about 25% share of new smartphone purchases for number two spot. 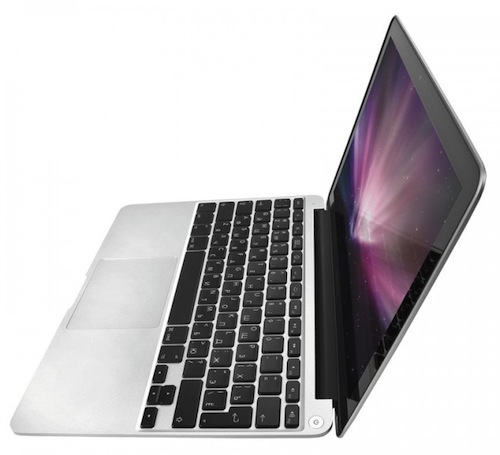 Last week, Acer Taiwan president Scott Lin said at a press conference that netbooks will not die. He added even though tablet sells are on rise netbooks will still cross 40 million units in 2011, which would be 20% of total notebook shipment in 2011. 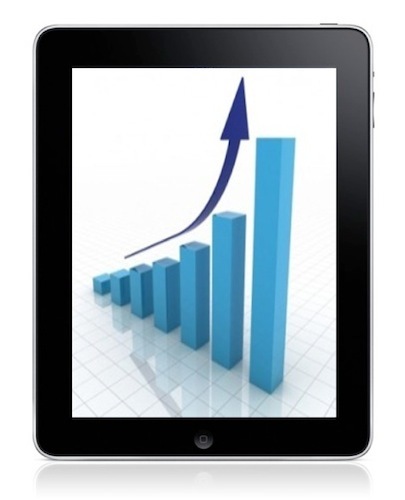 However, recent quarterly numbers show that netbook sales are falling for past two quarters after seeing triple digit growth in 2008 and 2009.